When I first created this page I mentioned that, so far as I know, there are no Raitts from my ancestral family in Canada, though there are and have been quite a few Raitts there for the last couple of hundred years or so. Well further digging has shown that I do appear to have relatives in Canada on both my Raitt side as well as on my Lindsay side. The youngest brother, John Purvis Raitt, of my grandfather, William Raitt, had two children, both of whom seem to have emigrated to Canada. The first to go was daughter Jemima Clark Raitt, aged 25, who left Glasgow for Quebec or Montreal on 28 September 1929. She was a waitress and it was this occupation she intended to follow in her new country. Her older brother John Purvis Raitt probably also went though much later, although I have not yet found any record of travel, since his wife Gertrude and their three children went from Southampton to Halifax on 20 October 1949. Further details on the family can be found under the page for John Purvis Raitt. Unfortunately the trail in Canada has run cold for the moment since the relevant BMD and census records are not yet available! especially the wholesale man, should come, because it is a new and growing country and will be much nearer profitable paying trade than remaining in the old cities. should come, because he is near the consumer, nearer raw materials, and, being where breadstuffs are raised, his operatives can live cheaper. should come, because in no way on earth can he get what we all covet - a home and self-ownership - so easily. From his homestead, which the Government will give all settlers, he will always be sure of a roof over his head and food for his family after the first year or two. By the railways and other avenues of transportation that now have reached Manitoba, and will soon be all over the Canadian Northwest, can the settler soon have low rates of freight to Eastern markets for his produce, and these rates will always be getting less as new routes are opened up east from Manitoba….. It is no wonder that small tenant farmers were attractive by the prospect of their own land and skilled craftsmen like joiners and carpenters were drawn by the opportunities on offer for building new homesteads. 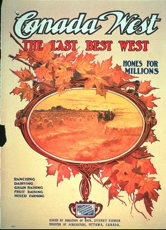 Another little book published about 1902 full of nice maps and entitled Twentieth Century Canada and Atlas of Western Canada for the Guidance of Intending Settlers - Its Resources and Development gives very helpful information on farming and ranching, home-seeker opportunities, weather, education and religion and more. Similar brochures were also prepared for would-be settlers to the United States and you can understand why our (or rather your!) ancestors wanted to undertake the arduous and hazardous voyage across the North Atlantic ocean. People still emigrate today of course, but it is not the same. The early immigrants were truly pioneers who sought and carved out for themselves and their families a better, though equally hard life - which though they may not have though that far ahead would also eventually benefit their descendants. I have mentioned one Raitt family already under New Brunswick Raitts but I have been looking into other families in the country and indeed the same province - see those that went to Jamaica. Of course, when families move around it is always difficult to know where to place them, thus there may be a little duplication of information in places in order to ensure maximum convenience to those perusing this site. Although one family from Scotland ended up in British Columbia after starting out in Manitoba and then moving to the States, I have elected to call them the Manitoba Raitts. Indeed another member of that same Scottish family also started out there too, although they ended up in Ottawa, Ontario (see below); while still another member of the family emigrated to New Brunswick initially. For those who subsequently moved on to the United States where they married and had children and eventually died, then details will be found under American Raitts and California Raitts. Their earlier ancestors will be found on the Scottish Raitts page (under Kincardineshire). There are, however, a few other Raitt families in different provinces and some details are given below. The information provided is not exhaustive, merely what I have gleaned from mainly freebie web sites, and is thus simply indicative of who was where at a certain time. 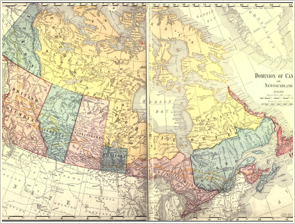 It is clear from some of the ages of individuals born in Canada that their parents moved there at least as early as the 1820s. However, on the Library and Archives Canada website, the 1851 census is not searchable by name, nor are the 1901 and 1911 ones. I hope to get around to furnishing additional information in due course, especially as regards the Scottish ancestry of these families. Whilst there are no Raits, Raites, Rhetts or Rhets in the 1881 census, there are Raitts and Reats who were born in Scotland living in Quebec. And there are also a couple of native born Scottish Raitts and Raits in Ontario in the 1871 census. It should be noted that there are also plenty of Rates, particularly in Quebec – but since many of them have French Christian names (or an acute accent on the e) then I have not bothered with them at this juncture. I have to mention here the family of Granville Raitt who travelled from England to South Dakota, then to Alberta, Canada and finally ended up in California. His English ancestors may even have been Scottish - Granville himself had red hair! His story, and ancestry, including the time he and his family spent in Alberta is to be found on the page Californian Raitts from South Dakota. Then there is James William Raitt born in Lachute, Quebec to David Raitt and Isabella Dixon from Scotland who moved to Edmonton, Alberta with his wife and family. The information I have found so far about them is to be found on the Quebec Raitts page. Francis Frederick Raitt, born in 1851 in Bathurst, New Brunswick was the youngest son of Alexander Raitt and Ann Gosnell (See under New Brunswick Raitts). In 1891 we find F. F. Raitt age 41, a farmer, born in New Brunswick (both parents born Scotland); and his wife Ellenor, 49, born Ontario (both parents born) living in New Westminster, British Columbia. Francis Frederick Raitt died in Victoria, NB on 16 Dec 1899 aged 48. William Grainger Raitt, born in 1887 in Montrose, Angus, emigrated to Canada in 1911. He appears to have been farming in New Brunswick. He married Louise Isabele Wilson and died in White Rock, British Columbia on 28 October 1981. His uncle was Charles Raitt (below) and more details on his family who stayed in Scotland will be found on the Kincardineshire Raitts page. As detailed on the Manitoba Raitts page, Charles Raitt, born in 1860 in Logie Pert, Angus, Scotland, emigrated to Canada in 1882 with his brother James. He married Lillian McLean there and they had six children over the years. They emigrated to the USA about 1903, but returned to Canada about 1930 or so, settling in British Columbia. Charles died in Naramata, British Columbia in 1940 and Lillian died in Penticton, British Columbia in 1962. Their children also all died in Penticton save for the eldest, William, who died in New Mexico in 1908, aged 13, and the youngest Eleanor, who died in Naramata in 1937, aged 23. Charles Kingsmill Raitt (see under California Raitts) was the second child and son of Charles Raitt and Lillian McLean and was born in Winnipeg on 5 July 1898 He died in Penticton, British Columbia on 17 July 1982 aged 84 and is buried in Naramata Cemetery, BC. He married Alice Nelson about 1923 in Los Angeles. She was born in Minnesota on 12 December 1905 and died in Naramata on 6 October 1970. Descendants of the family are alive and well in the province. Daughter Helen Granger, born 1901 in Winnipeg, married Donald Salting, born in Michigan in 1905, on 11 June 1929 in Naramata. She died in Penticton in 1996, five years after her husband. Son George Warren, born 1904 in St Paul, Minnesota, married Agnes Turner Rushbury, born in Glasgow, Scotland in 1903, on 12 January 1932 in Naramata. They had three children all born in Penticton: Henry George Rushbury, born 11 February 1933; Mary McLean, born 1 March 1934; and Jean Turner, born 16 November 1937. All three children married and Henry had four children. George died in Penticton on 6 July 1971 and Agnes died on 22 June 1904 in Vernon, British Columbia. In the 1891 census for Brandon, Selkirk, Manitoba is W. C. H. Raitt, 36, hotel book keeper, born England, where his mother was born, though his father was born in Corfu! A Wm. C. H. Raitt, age 37, labourer, sailed from Liverpool to Halifax on 30 March 1894 on board the Buenos Ayrean bound for Boston. If this is the same chap, then he had presumably returned to the UK for some reason. I have included him on this page, because he would not seem to be related to Charles Raitt (born Scotland) and family - see Manitoba Raitts and also above under British Columbia. Francis Frederick Raitt was born in New Brunswick, but of Scotch origin. In 1881 Francis, 30, a farmer, and his wife Ellen, 36, born Ontario, but of Irish origin were living in Osgoode, Russell, Ontario. In 1891 they are farming in New Westminster, British Columbia - Francis died in Victoria, BC in 1899. See also separate pages for more New Brunswick Raitts and others that went from there to Jamaica. John Raet, landed in Halifax, Nova Scotia in 1749-1752. David Rait arrived in Nova Scotia between 1772-1838. Elizabeth Thomson Raitt from Arbroath seems to have settled in York, Ontario (now part of the city of Toronto) in 1928 when she married Andrew Cuthill, also from Arbroath (see above). She subsequently lived many years in Nolanda, Quebec. However, there were other Raitts, probably unrelated - though I will check, already there as is noted below. In the 1871 Canadian census for Wellington city, Ontario there is James Rait, age 42, labourer, born Scotland. In the 1871 census for Ontario living in Wellington Ward, Ottawa there is James Raitt, 50, married, a tailor born Scotland. With him is his wife Elizabeth, 43, also born Scotland. They do not seem to be in either the 1881 or 1891 censuses; however in a 1890 directory a James Raitt is a tailor in Shawville, Pontiac, Quebec. In By Ward (D), Ottawa in 1871 is Margaret Raitt, 50, a widow, origin Scottish. 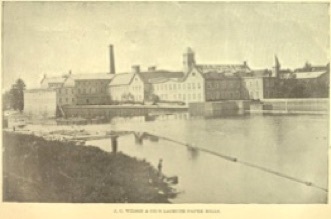 In Victoria Ward, Ottawa in 1871 there is Margaret Raitt, 25, tailoress of Scotch origin, but born Ontario, and seemingly a widow, together with children Isabella Jane, 4; and Georgina, 2 – both born Ontario. In the 1881 census, Margrait Raitt, aged 36, tailoress, born Ireland, is living at North Renfrew, Pembroke Town, Ontario together with Isabella Raitt, 15; and Georgina Raitt, 10 – both born Ireland apparently. In the 1891 census for the same place Georgina, 21, is living alone and is a weaver. Possibly Isabella had married at this time, and Margaret may have remarried. In the 1881 census the older Margaret Raitt, 61, a widow, born Scotland is still living in By Ward (D), Ottawa. In the 1991 census there is a Margaret Raitt, aged 69, widowed, living at Gloucester, Russell, Ontaria. She seems to be the mother of Mary Aitchison, 46, gardener, and a widow, who has several children. Living in Osgoode, Russell, Ontario in 1881 are Francis F. Raitt, 30, a farmer, born New Brunswick, but of Scotch origin; and Ellen, 36, born Ontario, but of Irish origin. 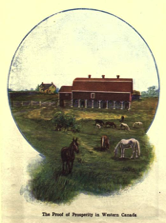 In 1891 they are farming in New Westminster, British Columbia. Francis Frederick Raitt died in Victoria, British Columbia in 1899. Thomas Robert Raitt was born in 1861 in Lachute, Quebec to David Raitt and Isabella Dixon. He and his famility subsequently moved to Toronto. The information on hi amd his family will be found on the Quebec Raitts page. James Raitt (born 4 January 1854 in Craig, Angus) was the fourth child and son of William and Helen Raitt (see under Manitoba Raitts). He emigrated to Canada in 1882, following his brother Charles to Winnipeg, Manitoba. He returned to marry his wife, Christina McPherson in Liff & Beview, Angus on 13 July 1883 at the lunatic asylum where Christina was Assistant Matron. They went back to Winnipeg where their first three children were born. All the other children, except one born in Montreal. were born in Ottawa, Ontario where James died in 1942 followed by his wife in 1949. After a few years in Manitoba, the family moved to Ottawa, Ontario and then to Quebec, before moving back to Ottawa. In the 1891 census for Cote St Paul, Hochelaga, Quebec we find James Raitt, 36, machinist, born Scotland together with his wife Christine, 38, born Scotland and their children Helena, 4, born Scotland; Jana, 2, born Canada; and Margaret, 6 months, also born Canada. In the 1901 census, the family is back living in Ottawa city, Ontario. James Raitt is 47, a machinist; his wife Christina is 49, born Scotland and emigrated in 1883. With them are their children: Helena A., 13, born Manitoba: Jane, 12, born Ontario; and George H., 9, also born Ontario. In the 1911 census for Wellington Ward, Ottawa, Ontario are James Raitt, 57, machinist; wife Christine, 59; and children Helena, 23; Jeannie, 22; and George, 19. Also in the household is nephew William Raitt, aged 32, born Scotland, who appears to have emigrated in 1904. Quite who this is is not known yet, though if the age 32 is correct then he is very probably the son of James’s elder brother John. George Henry was the sixth child of James and Christina Raitt, born in Ottawa on 3 November 1891. On 21 January 1915, George, a carpenter by trade, joined the Canadian Over-Seas Expeditionary Force to fight in World War II after having served seven years in the 43rd DCOR (Duke of Cornwall’s Own Rifles) as a signaller. He is recorded as arriving at Ellis Island on 24 April 1918 on board the Missanabie from Glasgow. He married Anna Mary McArthur in June 1918 in Ottawa shortly after his return and their two children James and Frances were born there. Sometime thereafter they moved to the USA because in the 1930 census, they are living in Berkeley City, California – George Raitt is 38; Anna Mary is 39; and children James Arthur M. is 10 and Frances L. is 9. Also in the household is Catherine McArthur, 64, widow – the mother of Anna Mary. George died in Berkeley on 17 June 1976. George Rait, eldest son of Robert and Barbara Rait from Aberdeen, and his family departed from Glasgow on 28 May 1910 and arriving in Quebec on 7 June aboard the Southwark. The departing manifest gives George Rait, 38, labourer; wife Margaret, 36; and children Maggie, 13; Robert, 11; and Connie, 6. They were all born in Scotland. The arrivals list provides a bit more information. 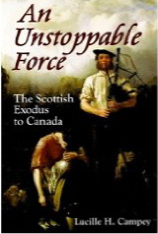 They were heading for Toronto, Ontario and George's occupation back in Scotland had been a lithographer and this was his intended occupation in Canada. In the 1921 census for 224 Campbell Avenue, Parkdale, Toronto we find George Rait, 49, lithographer; wife Margaret A., 48; son Robert, 24, financier? ; and daughter Constance, 17 - all born Scotland. In his Attestation Paper for the Canadian Over-Seas Expeditionary Force dated 20 November 1915, Robert Rait gave his address as 224 Campbell Avenue, Toronto and stated he had been born on 9 September 1897 in Aberdeen, Scotland. He gave his mother, Margaret Rait (of the same address) as his next of kin (why not his father?) and his occupation as clerk. He was not married, was willing to be vaccinated and to serve in the CO-SEF. His apparent age was 18 years, 2 months. He was 5ft 7in tall, with a chest girth when fully expanded of 34in and a range of expansion of 30½in (sic!). He was of medium complexion with blue eyes and brown hair and he had a a tattoo mark between thumb and finger, right hand. Daughter Margaret Rait, age 23, married George Fleming, age 25, in Toronto on 20 August 1919. Son Robert Rait, 27, married Helen Brodie, 23 in Toronto on 22 November 1922. Daughter Constance Mary Rait, age 20, married Harold McHaffey, 19, in Toronto on 21 March 1924. Robert clearly had children, including sons, and the offspring are still residing in the Toronto area. George Rait, born 1 November 1870 in Aberdeen, died 9 February 1952 in Toronto, Canada; wife Margaret, born 23 April 1873, died 29 March 1933 in Toronto. Details about George Rait's early life and ancestors back in Scotland can be found on the Aberdeenshire Raitts page. Interestingly there were other Scottish Raits in Toronto at this time - for instance John Rait who died in Toronto in 1931 aged 51 of muriatic poisoning (suicidal). His parents were William Rait and Agnes Miller who married in Kinning Park, Glasgow in 1875. Although one of the Manitoba Raitt families (that of James and Christina Raitt - see above under Ontario) was in Quebec for a while, as was Elizabeth Thomson Raitt from Arbroath (see above at top) who married Andrew Cuthill in 1928 in York, Ontario when she first arrived, and who subsequently lived many years in Nolanda, Quebec, there were several other Raitt families living there, notably those stemming from David Raitt of Dunino, Fife, Scotland. I have finally pieced them together and have created a new page on Quebec Raitts. Further work still needs to be done on some of the descendants. Living in Shawville,& Clarendon South, Pontiac, Quebec in 1881 we have James Reat, aged 58, born Scotland, occupation tailor; and his wife Elizabeth, 54, born Ontario but of Irish ethnic origin. In a directory for 1890 living in the small village of Shawville, Pontiac is a tailor by the name of James Raitt. This is clearly the same chap and very probably the same James Raitt, tailor, to be found in Ontario in 1871. 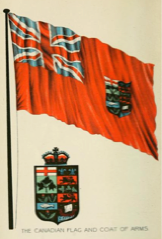 Whilst finding information about the Raitts in Quebec (some of whom went elsewhere - Ontario, Alberta) and finishing off the details for Stanley Raitt, I came across his Attestation Paper for the Canadian Over-Seas Expeditionary Force (CEF). There were several other Raitts in the list - as well as a few Raits. Although some of the information provided may already be included in the details given for certain individuals on the various Canadian Raitt pages, I have given a brief overview of these men on the newly created Raitts in the 1st World War page instead of here, with the expectation that I shall add fuller details in the appropriate places in due course.